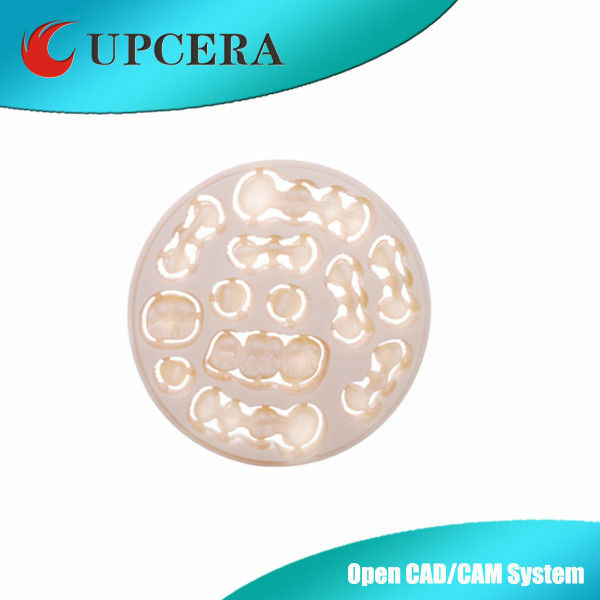 Upcera Zr- block is a partially sintered 3mol% yttria (Y2O3) stabilized zirconia (ZrO2) block, which is made from zirconia ceramics powder by cold isostatic pressing and machining. It is more homogeneous than uniaxial pressed. After fully densified, Zr-block has a high strength, excellent biocompatibility and aesthetics. Upcera Zr-block can be machined to dental restorations by different CNC or manual milling systems. Applications include both anterior and posterior single tooth or bridge restorations. 6 . Superior service team to provide professional training and guidance. 7 . Professional R&D team including best experts and engineers in material sciences from Tsinghua University.